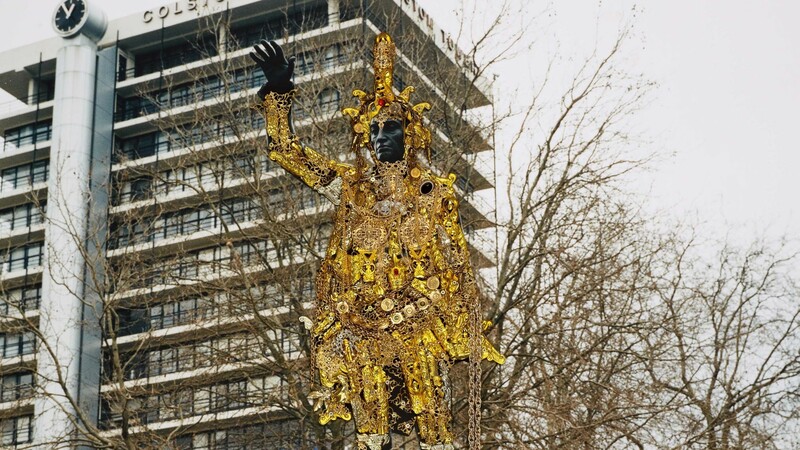 Hales Gallery is delighted to announce a solo exhibition by Hew Locke, Here's the Thing at Ikon Gallery, Birmingham. This will be the most comprehensive exhibition to date of work by Hew Locke, involving a wide range of media – painting, drawing, photography, sculpture and installation – making extensive use of collage and found objects. 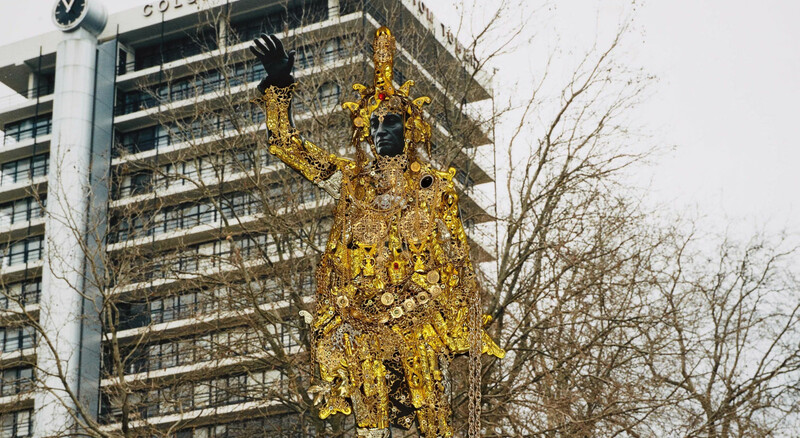 Since his emergence as an artist in the 1980s, Hew Locke has been remarkably consistent in his preoccupation with the languages of colonial and post-colonial power, and the symbols through which different cultures assume and assert identity. He appropriates coats-of-arms and trophies, weaponry, naval warships and the costumes and regalia of state in a subtle critique of governmental authority, its iconographies and legacies. His ability to fuse historical sources with his own political concerns, either through juxtaposition or the modification of existing artefacts, leads to smart amalgamations of history and modernity. This layering of time corresponds to a distinct merging of influences from Guyana and the UK – Locke is now based in London – so that the aesthetic result is richly textured, compelling both in terms of visual impact and intrigue.